Rocket 5 Studios , an emerging independent game developer, today announced the release of their latest iPhone app, Alien Booth . The app features the ability to easily transform pictures of friends, family, coworkers and even pets into amazing looking aliens. Alien Booth is available on the iTunes App Store today for $0.99. 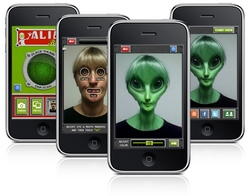 Alien Booth is available exclusively through the iPhone App Store  in the Entertainment category. Quebec’s Frima Studio  and Bolt Creative, a San Francisco-based developer of original iPhone applications and games, have announced that the best-selling game Pocket God  will officially make its way to Facebook later this fall. Florida-based EPIC Weapons  announced today that it has launched the auction for the Grey Warden Sword and Darkspawn Greatsword  as seen in BioWare’s Dragon Age . 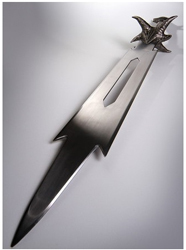 Each sword is embedded with a Game-to-Gear RFID chip for easy identification and certification, and comes with a Certificate of Authenticity and wall mount. Each participant who registers will be guaranteed the opportunity to purchase a Grey Warden Sword or Darkspawn Greatsword (of their choosing) with delivery following the auction winners in the order of sign-up. 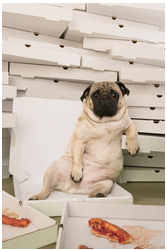 All auction participant shipments will be completed prior to any Christmas or introductory offers. Epic Weapons will be offering a Christmas introductory offer  for the first 200 Grey Warden Swords and Darkspawn Greatswords. Toronto’s Game Bridger Entertainment  has announced an update to their new free-to-play parkour racing game, FreeJack . The free update, which is available now, brings new character clothing items and “MyRoom” decorations, in addition to the all-new track “CosmosJack”, and an achievement system with more than 50 in-game achievements for players to collect. iStockphoto  today announced that voting for the new “Stockys ” award competition is now open to the entire iStock community. The Stockys were created to recognize excellence in stock photography, illustration, video and audio in 10 categories including Technical Achievement, Stockiest Stock and Coolest Abstract.